Sometimes when I bring home a piece of furniture to refurbish I have an immediate vision of what color I’m going to put on it. Other times I really struggle with this decision. Usually that’s because I’m trying to walk the line between choosing a color that I think will look amazing on something and choosing a color that I think will sell. Sometimes these two are the same thing, but oftentimes they aren’t. Since I can’t keep every piece I paint no matter how much I love them, I have to consider how well something is going to sell. I find that the neutral pieces usually sell faster than colors. 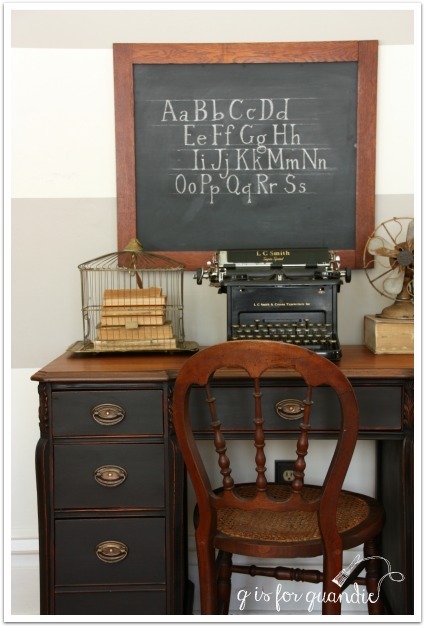 Black is always a big seller (this next piece is painted in Miss Mustard Seed’s Typewriter). It’s a classic, and every room needs a pop of black! It’s easy for potential buyers to fit a neutral piece into their existing décor like this book shelf painted in Little Billy Goat’s Greyson. A creamy almond is also an easy color to blend into an existing room. The Miss Mustard Seed’s Marzipan on this little washstand is perfect. 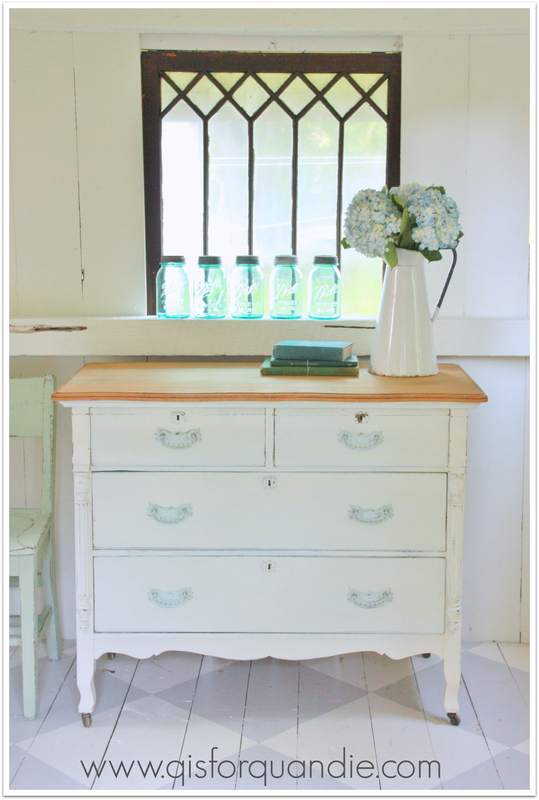 It’s not quite as easy to add a vibrant blue like the Real Milk Paint Co’s Dragonfly on this dresser. This one took a while to sell. 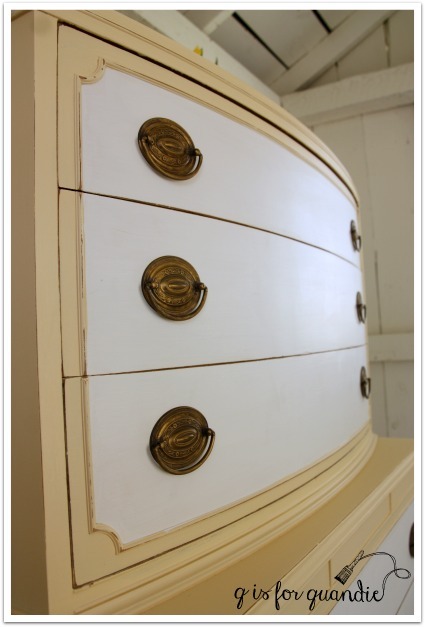 but this dresser in the same color took over a year to sell. 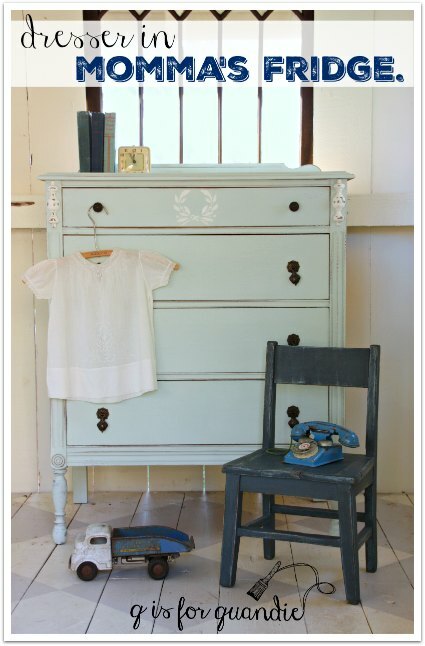 On the other hand, I have to say that most shades of aqua sell pretty quickly, like this sweet dresser painted in Little Billy Goat’s Momma’s Fridge. 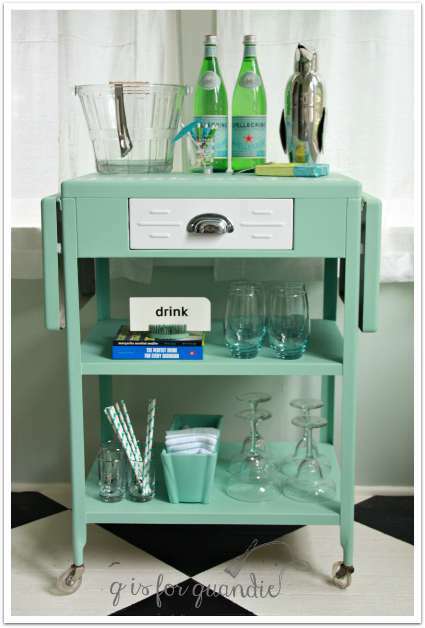 Even more saturated aqua’s have traditionally sold really well for me, like the Fusion Laurentien on this bar cart. I’m always a little nervous when I paint something yellow, but most of my yellow pieces sell well also. This next piece is painted in Fusion’s Buttermilk Cream and Limestone. And this is Miss Mustard Seed’s Mustard Seed. And just to prove my friend Lisa wrong (because she can’t believe I’ve ever painted anything red), here is a piece I painted in Miss Mustard Seed’s Tricycle. 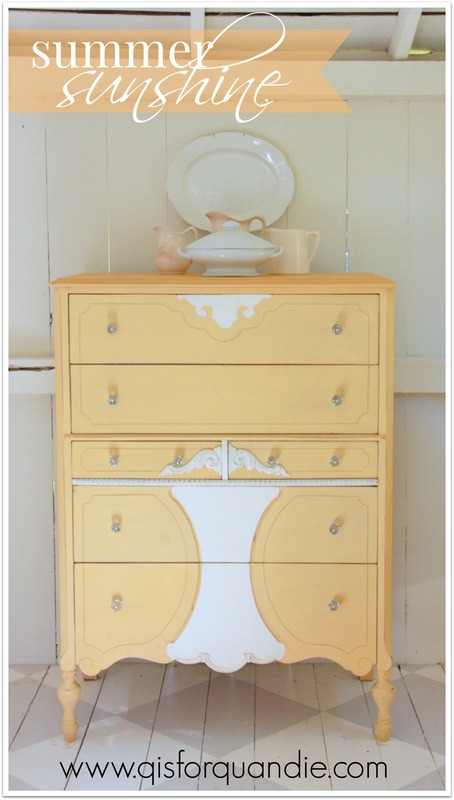 This piece sold pretty quickly, but another dresser I painted in Tricycle was around for over a year as well. Since I have a day job that pays the bills, I have the luxury of not relying on furniture sales to put food on the table. But I also don’t have room to store unsold pieces indefinitely. 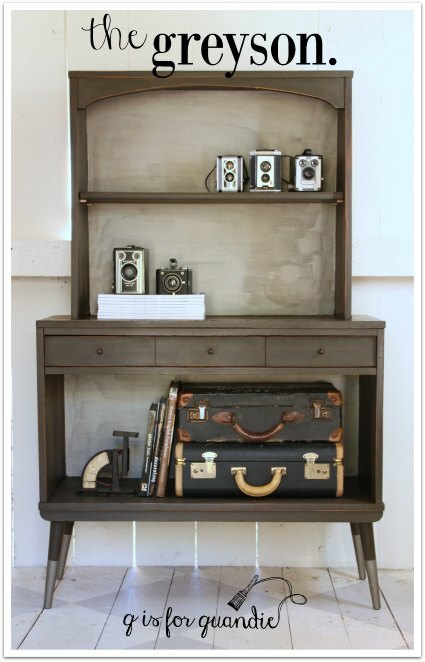 And honestly, it saps my motivation to paint more furniture when my finished pieces linger for too long unsold. So I think long and hard before using colors with a bad track record. Another consideration when deciding what color to use on a particular piece is what colors I have on hand. I have so much paint! Some women have so many shoes in their closet that they could never possibly wear them all, I have so much paint in my cupboard that I’m not sure I’ll ever use it all, mainly half used paint. 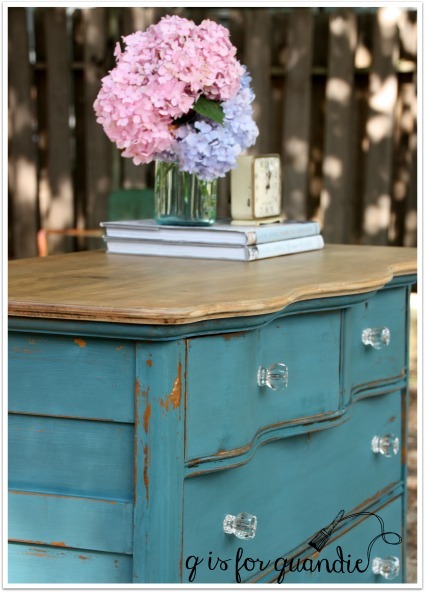 There isn’t enough left of each color to paint an entire piece of furniture, but I certainly can’t just throw it away! This is where custom mixing comes in handy like this mix of equal parts Miss Mustard Seed Shutter Grey, Eulalie’s Sky and Layla’s Mint. I mixed Fusion’s Liberty Blue and Homestead Blue to create a color called Lake Superior Blue. Yet another factor that I keep in mind when choosing a color is you guys. 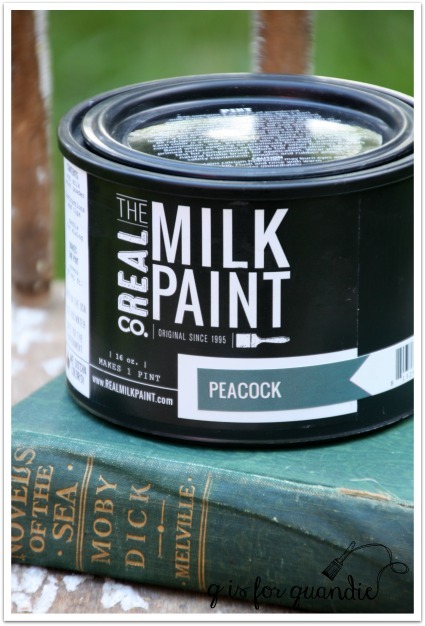 After all, how boring would my blog be if I painted everything in neutral shades like Annie Sloan’s Coco? That would get old fast, right? It would get boring for me too, always painting in the same old neutrals. Don’t get me wrong, it’s not that they aren’t lovely! But sometimes you just gotta mix it up. How about you, do you have a favorite color? 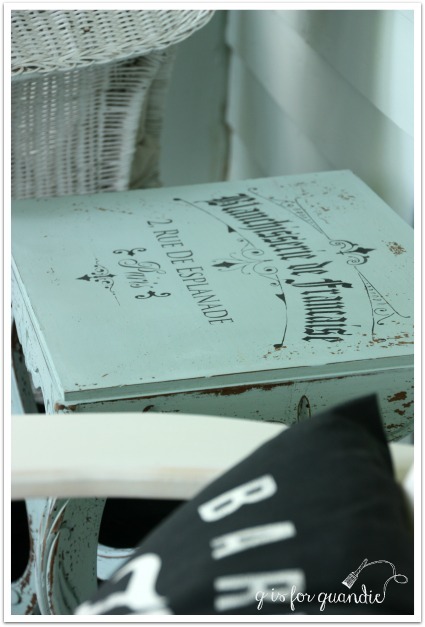 Or if you are a furniture seller, what color sells best for you? Is there a color that you absolutely love, but avoid using because it just doesn’t sell? I’d love to hear about it in the comments. Next just the right white. 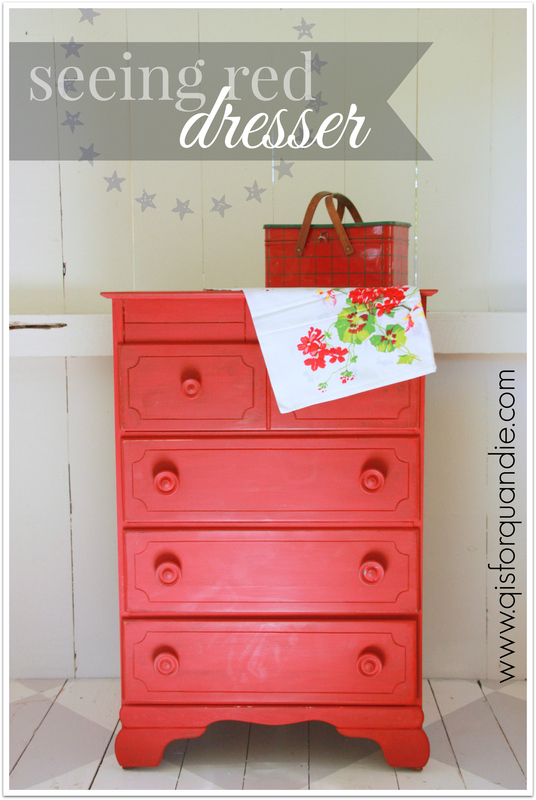 This is a funny post, because I kept looking at the dragonfly dresser and secretly wishing it was red! I didn’t have room for it, at either color, but I just wanted to see it in red. I loved the dark turquoise color on it, but I just love red! I, like Lisa, didn’t think you painted red. Wow love the red dresser. I do think a red piece that big would be harder to sell. You do an amazing job – don’t paint for us, paint for yourself. Your vision is truly a gift! Thanks for sharing your talents in this blog! Chris! I’m so excited that you left me a comment (everybody else, Chris is Mr. Q’s sister). I actually love red pieces too (even though I don’t currently have any red in my own house), but I do worry about whether or not they will sell. Maybe I need to put another red piece in the line up … I have a piece in mind, and Homestead House has sent me a couple of shades of red milk paint … hmmm … I’ll give that some more thought. Thanks so much for the flattering compliments too Chris! I really enjoyed this post. I have a piece very similar to the dragonfly piece. I have had almost 2 years, and still not have decided on a color. I have pondered the idea of leaving the top in the stained finish and painting the rest. Seeing your photos gives me a better idea. I plan to make it into a bar. It even has what I call a towel rack that goes up about 2 feet and would make a great bar towel holder. Your work is truly beautiful! Might be fun to make it a ‘coffee bar’. You could leave the top wood, but add a stencil in black like this one from Donna at Funky Junk. People love coffee! Black, white and gray are always a quick sale for larger pieces, but that gets old real quick. Red also sells really well in our area. But truthfully, I think it’s more about matching the TYPE of paint on the piece of furniture. 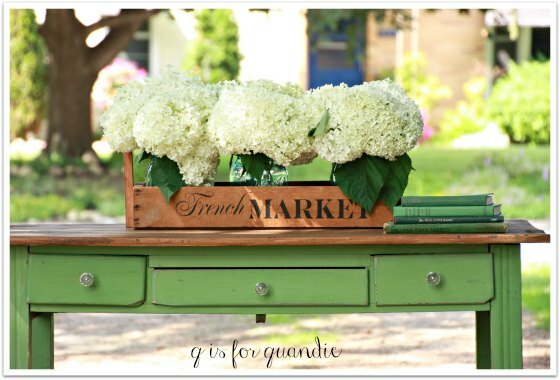 I see a lot of painted furniture for sale where they are trying to give straight lined, plain furniture a heavy shabby chic makeover with chalk paint and heavy distressing. It doesn’t matter how pretty the color, it just looks wrong. The saddest piece was an antique drop leaf table that had been “made over” with a high gloss enamel. All of the gorgeous detail was lost and it looked horrible. Your furniture and posts are always lovely, so please keep doing what you’re doing! Happy 4th of July! You make a very good point Cynthia, and one that I didn’t even address in my post. You do have to consider the style of the furniture when choosing a color as well! I try to keep the furniture neutral in my home so I can change out my colors. Since I abhor painting, all mine are wood, white or cream. Probably the same with others. And the pastel colors look pretty in a nursery, I would think that’s why they sell so well. 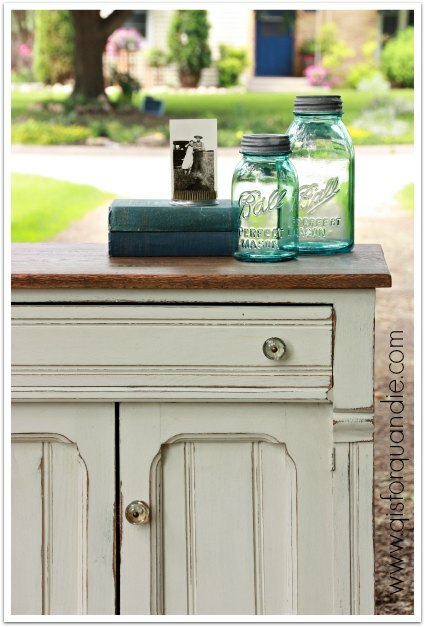 I LOVED the blue dresser with the arrow handles. I think I’ve pinned that twice now. Thanks Mary! I think that a lot of people agree with that neutral strategy. I’m starting to lean more towards neutral wall colors in my home so that I can change things up more easily too. I have used black, gray and white in my own home for all the reasons listed above neutrality and style plus they work with my decor. Knowing the look and the feel you are going for in a space guides the direction process. I don’t know how you decide since you painting to sell but you seemed to have mastered it. This post is totally on point for me. I have pieces I painted that I loved with a bright color and ones that I painted twice because white was too boring. I gravitate toward color but I know that most people prefer neutrals. 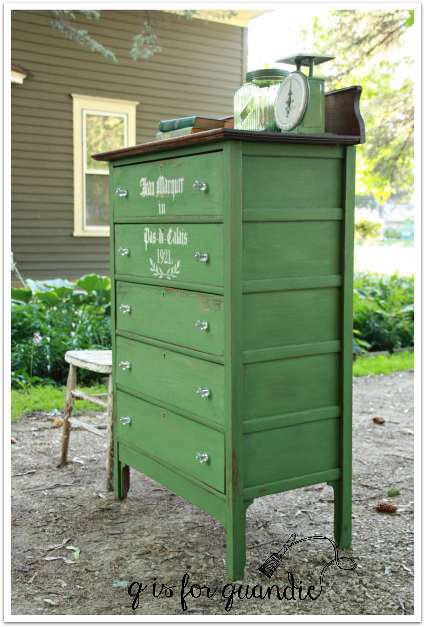 And sometimes a piece of furniture just speaks to you and you know exactly what color to paint it. Since I have had a booth (a very tiny booth) I have only sold 4-5 pieces of furniture in 4-1/2 months. So I don’t have a lot of experience of what sells best – and don’t know if color or type of furniture is what makes it sells. White chippy stuff definitely goes quickly but I’ve also sold a gray dresser and a medium blue dresser. And I think factors other than paint color can figure into the equation, the ‘style’ (empire is really hot as is 1930s buffets) and how well it is painted. So many things to decide as you start the project. Like previous commenters I have found some poorly executed painted furniture out there! I tend to paint a large piece and then work on little projects for a while, but my garage is full, my booth is full and I love doing the upcycling so much I find it hard to not work on something. Thanks for starting this discussion, it’s valuable. And like always I think your work is pretty darn perfect. First of all, thank you very much! And you’ve made some very good points Laura. Maybe I need to write another post about what kinds of furniture sell best for me. Dressers would definitely top the list. And I agree, Empire style is hot right now, but I find very few Empire pieces here in Minnesota. I really enjoyed this post too! I paint furniture as well; and sometimes a piece takes a while to speak its color to me. It may start out one color and end up totally different. However, a red cabinet I recently sold, was originally red and stayed red. Your pieces are all beautifully done, no matter the color! Thanks Susan! In general I avoid bringing home pieces that are already painted (like your red cabinet), unless the deal is too good to pass up … or I like the existing color and just want to spruce it up (like here and here). An existing color on a piece will certainly influence what color you decide to paint it next. Hey, maybe I should write a post about that too! I really enjoyed this post! I think all of your pieces look great. I honestly love some red dressers, but think they need to be tempered down with dark wax or stain. The piece of furniture in your post that stole my heart was the coco. Wondering if you lightened the coco color with some white because things I’ve painted in coco did not come out like that! Wondering what am I doing wrong? This post was wonderful for those of us who are always trying to learn more. And yes, my stock pile of paint is overwhelming me. I just tried to reorganize it and found some of the half jars of chalk paint have dried up. This is such a waste and I’m not going to let it happen again. I knew there had to be some of you out there with the same paint problem! All of those partially used colors! As for the Coco, I think my photo is just over exposed and the piece was brightly light by sunlight reflecting off the white floor. Thus my photo is probably not the best representation of the true color. I did not mix anything with the Coco, and I finished it with clear wax. 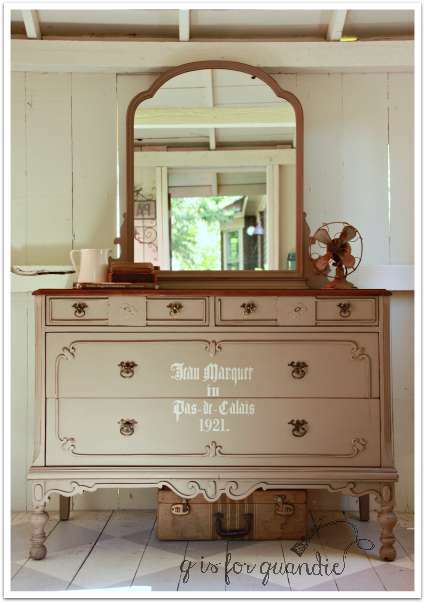 I’m just loving the catalogue dresser I bought from you recently…can’t remember what color you used, but essentially white with black french stencil rub ons. I’m filling it up with my fabric stash, so my sewing room will be basically white and black with colorful accents. I’m happy you chose these colors – it really spoke to me and I even rearranged a whole room to make it work! I agree totally Goedele! 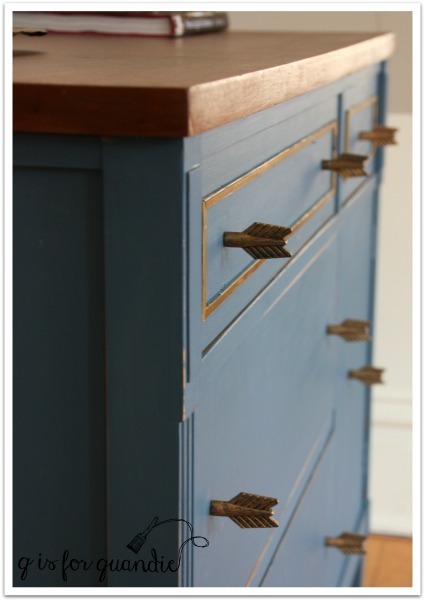 The cupboard I have painted in Flow Blue is one of my favorite pieces of my own. It’s always fun when I’m painting a piece to keep for myself because I can get a little crazy with the color and the amount of chipping!